The terrorist group says it killed 29 Christians who were on a bus headed to volunteer at a monastery. MINYA, Egypt — Islamic State claimed responsibility for an attack on a bus loaded with Coptic Christians the day before near the southern city of Minya, which officials said killed 29 people. “A security team of caliphate soldiers set up an ambush for dozens of Christians as they headed to the church of St. Samuel,” the militant group said Saturday through Amaq, its media arm. The bus passengers were shot to death on their way to volunteer at a monastery. 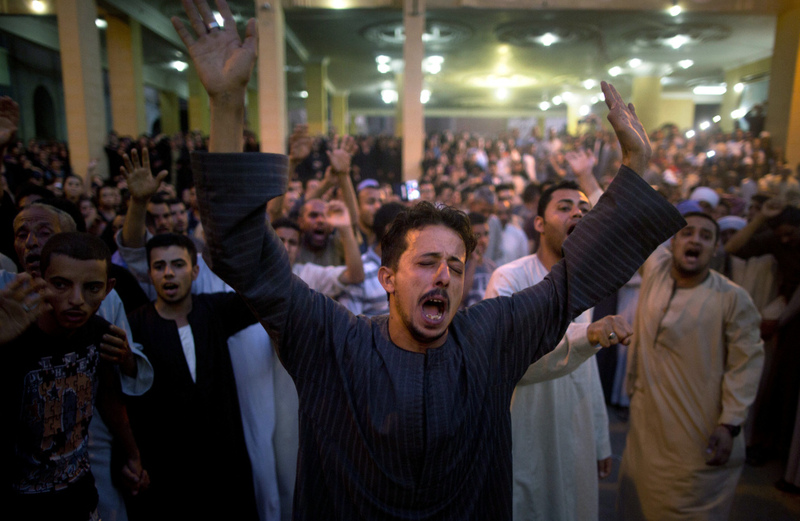 Twenty-five other Coptic Christians were wounded. Friday’s attack, on the eve of the Muslim holiday of Ramadan, led Egyptian President Abdel-Fattah el-Sissi to launch airstrikes on what officials said were militant training camps in the northeastern Libyan city of Derna. El-Sissi, a former general, said the gunmen had trained and planned the attack in Libyan camps, although Islamic State has not controlled Derna for two years. In a Saturday phone call, Egyptian Foreign Minister Sameh Shoukry told U.S. Secretary of State Rex Tillerson officials found “information and evidence that terrorist elements involved in the Minya incident trained in these camps,” a statement said. The military strikes did little to reassure Coptic Christians in Minya, a city on the banks of the Nile about 140 miles south of Cairo where about 40 percent of the population is Christian – four times the percentage of the Muslim country’s population of 92 million. They have watched with dread this year as Islamic State militants advanced from strongholds in northern Sinai south beyond the capital. Many of Minya’s 2 million Christians have felt threatened by local Muslim extremists for years. The Egyptian government historically provided security for the Christian minority, but that dwindled in the final years of longtime president Hosni Mubarak’s rule and seemed to disappear after he was replaced.